Welcome to Day 3 of our 3-day DIE showcase! You can visit the I.O. Blog each day of the hop for links to the previews. Make sure to comment on all our blogs and the I.O. Blog for a chance to WIN! I want to share 2 cards made with the leaf dies, and give you a few different ideas for using this set. For my first card I used the largest leaf on white Inchie Plus Squares from Inchie Arts. I ran the die and matteboard squares through my Big Shot using the embossing pads. The die left a debossed image, which I tapped with a Distress ink pad (the debossed lines remained white). I colored the leaves lightly with a Coloursoft pencil then blended the pencil with odorless mineral spirits. I used dies quite a bit on my second card, but not as a focal point. I colored the Peeking Pumpkin image on coated canvas using Touch Twin Markers (the colors I used are below) and sewed it to my card base. See the leaves embossed on the card base there? I created that effect by diecutting a sheet of chipboard using the larger leaf dies, then running cardstock and the chipboard through my Big Shot with the embossing plates.I put the silicon pad underneath the cardstock, laid the chipboard over that, then put the accompanying black plate on top, all on Tab 1. Hope that makes sense! Here's what my fancy cereal box embossing plate looks like, and a close-up of the result. I used a couple of the chipboard leaves to embellish my card - I just tapped them with dye and distress inks so the debossed lines would remain uncolored. I love the detail in these dies! Here's a closer look at the pumpkin...... it is so fun coloring with markers on canvas! Oh my gosh those leaves are awesome. With all the veins and everything. I love the colours in this card. These leaves are wonderful and I really love what you did with them. The tags are cool, too. Exquisite! Great idea to deboss portions of a die into chipboard for creating inchies or any shape, for that matter. The monochromatic coloring is elegant. Thanks for sharing the idea of creating one's own embossed background! Your peeking pumpkin is darling, and the leaves, fabulous! I love the colors and dimension to these. Great job! Both of your cards are gorgeous. You did a remarkable job with the leaf dies. I LOVE this Dina!!!! I will be attacking the cereal box this weekend for sure!!!! I am going back to my lss for that stamp too!!! Great ideas!!! the embossing is just fabulous! What a treat ! 2 creative use of these dies. Love the stylish card with the Knit CAC, very "Nature Inspired" but also the canvas print card which looks like a painting. Love the different ways you showcased these dies! I think my favorite is that first card. It's so pretty! The uninked edging around the debossed images in that first card really help to make the images "pop" ... SO very lovely! And adding the white on white leaf images for the background on the second card creation ... amazing creativity! WOW! 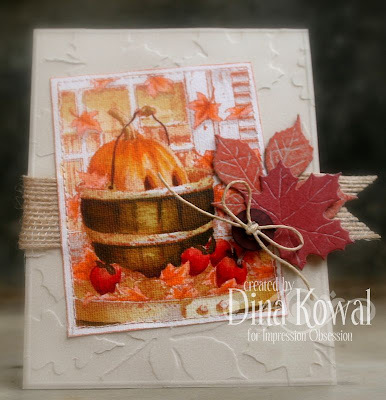 Lovely cards and great ways to use the leaves dies. Love the projects and like how you used the leaves dies, thank you. These are both just gorgeous! I love the "debossing"...thanks so much for the explanation. Will be fun to try! Your touch markers on canvas are amazing, Dini!! LOVE how these leaves look as a super embellishment with a button and some twine!!! Thanks for always answering our questions, even before we ask them - re: the debossed leaves - love the look! 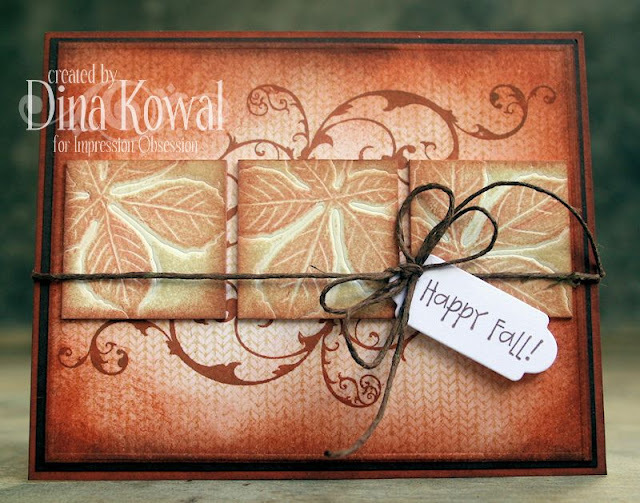 I just love fall/autumn card and these are gorgeous! Thanks for the inspiration! Beautiful fall cards! I love the embossed background you created with the chipboard leaves. Stunning! Very cool idea to have a matching embossed background with the die cut leaves as the embellishment. Wow, wow, wow! I love your debossed inchie squares, what a striking card, I love the background you created as well. And your coloring of the peeking pumpkin is so beautiful and bright, it looks like the sun is hitting it. Thanks for sharing your chipboard embossing idea as well, it looks really cool! Thanks for sharing. Great fall cards. Thanks for sharing the specifics on the techniques you used. I love these leaves! They are beautiful! Awesome card! Thanks for sharing the technique too. Love it! I just order this dies a week ago! Looking forward to get them! Lovely use of them, just beauuutiful! Gorgeous! I love leaves and fall. Thanks for sharing. Very pretty designs. I love fall! Wow!! What a clever idea of using your die cuts as embossing tools! I've got to try that - and I love the leaf dies too~ Fall is such a great time of the year! So many new techniques and ideas...WOW! Thank you! Those tools are putty in your artistic paws!! Clever, creative and inspirational! How fantastic! love your unique techniques and great examples..
your colors and designs are stunning! OMG OMG....I just purchased this die last week and pulled it out to day to think what I could do with it.....thank you for such wonderful inspiration!!! Love the debossed image technique. WOW!!! your card is beautiful! Love how you made your own debossing plate. That is so cool ! 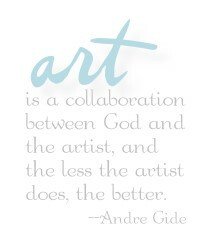 Your work is gorgeous and so inspiring. TFS !! Hi Dina, the leaf dies are fabulous together with the Fall image. I just love both of your cards. They have such a lovely warm ambiance to them. Wow! the leaves are gorgeous! I love the details that give such a rustic look! 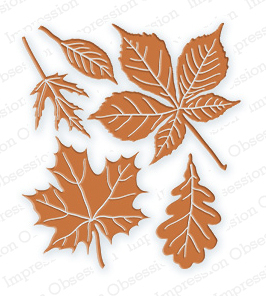 I am ALL about the leaves at this time of year, so I adore both your cards today! Those dies are at the head of my list! 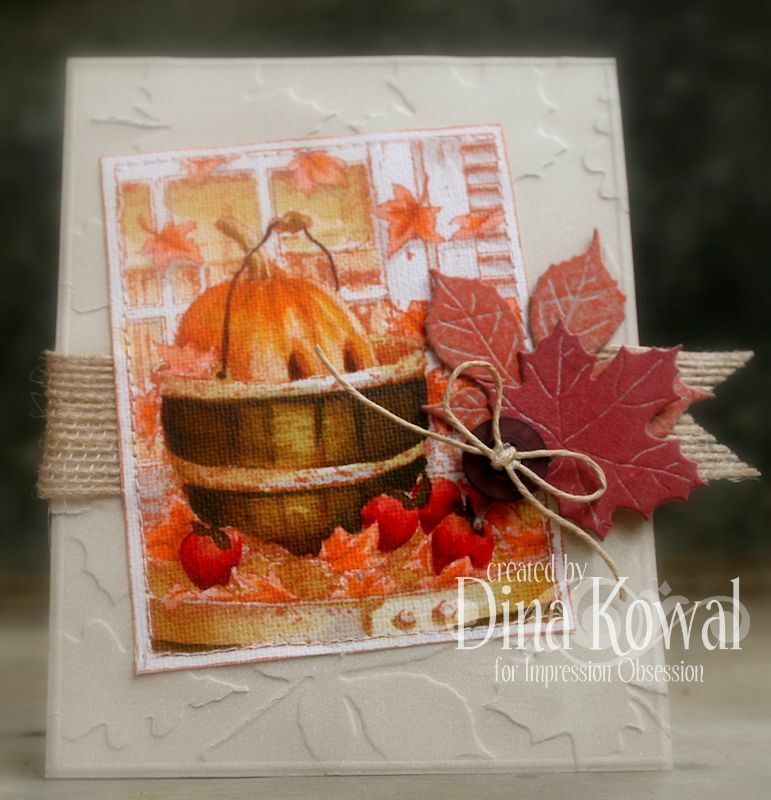 Beautiful cards -- love seeing how you used the diecuts for embossing. The leaf diecuts have to be my favorites. Wow! Both these cards are awesome. 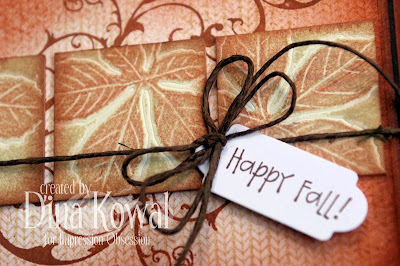 I love the inchie squares on the first card and love the way you used the leaf cutout as an embossing folder. What a great idea and technique. Thanks! Oh wow, love your cards and the colours! Those leaves are very very nice! Absolutely beautiful...wow! Thanks for sharing these great cards. This was one of the die sets I bought and I appreciate all the ways you have used them...lots of inspiration...sparked a few more ideas I'll have to try them all! Lovely - esp. the pumpkin coloring. I can't stop starring at the top card. It is so beautiful. Your second card us lovely as well. 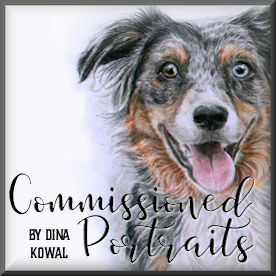 hi Dina...you have created the most inspiring projects. I was so thrilled to be a winner this week and I think my favourite die, although they are all wonderful! is the leaves. Must be the time of year. They look so fab and I just can't wait to get playing with them!! These are just plain gorgeous. Love how you used those leaves. The leaves look so real! Your cards are gorgeous! I think I need to pick this die up as I don't have much for fall. Thanks for sharing! Wow! So cool!! 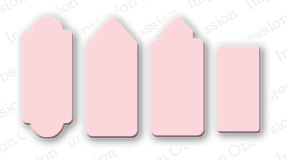 Love your creativity with the dies with the debossing & making your own embossing background! Inspiring, I'm looking at my dies in a new light! Lovely coloring of the image, it looks like a painting! Beautiful, as usual. You have taken my favorite Peeking Pumpkin and made it better than ever.